The year is 2743 A.D., only two short years since the last war, and the Insectus have already prepared for their next wave, with new tricks to defeat you at every corner. 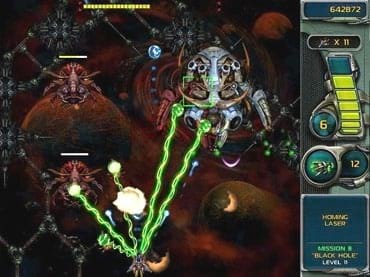 The human forces are still weakened from Star Defender 2 battle and it is up to you to beat back to swarm, destroy their weapons and stronger, more dangerous bosses with your own newly crafted wares and technology stolen from the Insectus. But you will need all of these along with your wit and reflexes to not only send the Insectus home, but to destroy their last stronghold and win the game. If you have questions about Star Defender 3 game, please contact us using this form.